The Orange County Equality Coalition’s Action Team would like you to join them at their Marriage Equality Canvas, on Saturday, February 26, from 12:00pm – 4:00pm. They are anticipating the possibility of a ballot initiative in 2012 and need to build a foundation of support of marriage equality. Join them as they talk to voters about why marriage matters to LGBT people. They are meeting at The Center OC, upstairs in the youth room. Therewill be a full training beginning at 12pm sharp, and there will definitely be snacks. Location: 1605 North Spurgeon Street, Santa Ana. Click here to donate your electronic gadgets. 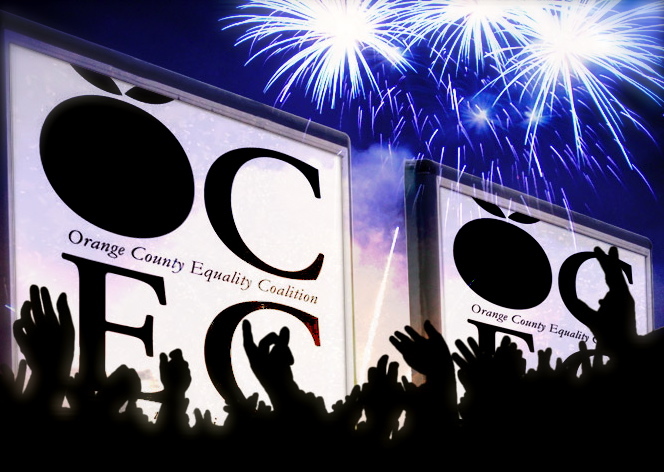 Founded in the wake of the passage of Proposition 8, Orange County Equality Coalition (OCEC) is an organization comprised of a diverse group of individuals who are united by their belief in marriage equality and their desire to effect positive change in their community.